Despite a diplomatic row, U.S. and Indian intelligence officials are meeting to discuss the future of Afghanistan. In a sign that the dust may have begun to settle over the Khobragade affair that froze normally warm U.S.-India relations, the two countries began a three-day intelligence meeting on Afghanistan yesterday. 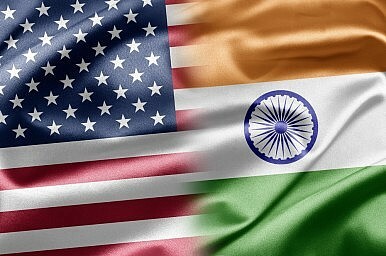 According to The Hindu, the meeting is the first instance of high-level dialogue between India and the United States since the diplomat’s arrest in New York stirred up an indignant storm across India and led to a deterioration in ties. Just six days ago, U.S. Energy Secretary Ernest Moniz was forced to cancel a scheduled trip to India as part of the fallout over the diplomat’s arrest. For the moment, little is known about the content of the meeting apart from the fact that the Bilateral Security Agreement was certainly a topic of major discussion. Other issues include Pakistan’s involvement in Afghan politics after the U.S. drawdown, security for the upcoming elections, post-election stability in Afghanistan, and Indian plans for strategic development cooperation with the Afghan government. The two governments could also possibly be discussing Iran following the implementation of the Geneva deal. India has generally enjoyed warm relations with Iran – something that it has had to moderate in the past at the risk of alienating the United States. NATO has begun negotiations with the Afghan government for a post-2014 security arrangement known as the Status of Forces Agreement (SOFA) that can be signed only after the United States concludes its Bilateral Security Agreement (BSA) with Karzai’s government. U.S. officials, including Special Representative for Afghanistan and Pakistan James Dobbins, had been optimistic that Karzai’s government would eventually come around to signing the BSA after the New Year, following a strong mandate from the Loya Jirga and almost ubiquitous regional support (with the exception of Iran). However, a recent estimate by U.S. Ambassador to Afghanistan James Cunningham suggests that Karzai is unlikely to sign the deal ahead of Afghanistan’s elections. Karzai’s government has maintained that the BSA ought to be concluded by the next president of Afghanistan, but the United States is interested in concluding the agreement as soon as possible.